Who would want to do that, and why, you’re asking? Well, I’ll tell you. The Environment Agency have decided to save a few quid by not protecting the sea defences at the estuary mouth. They argue that global warming means sea levels will rise and money spent on sea defences to prevent the sea invading low lying land cannot be afforded and would ultimately be wasted anyway. The opposing opinion - from the majority of the locals here - suggest that to counter the effects of allowing the sea to invade would cost considerably more: millions of pounds to upgrade local infrastructure and a considerable loss of tourism income. If it was just about money, there is a quite a simple solution for both saving the meanders and letting the Environment Agency off the hook: which is to let the locals undertake the task of looking after the problem. 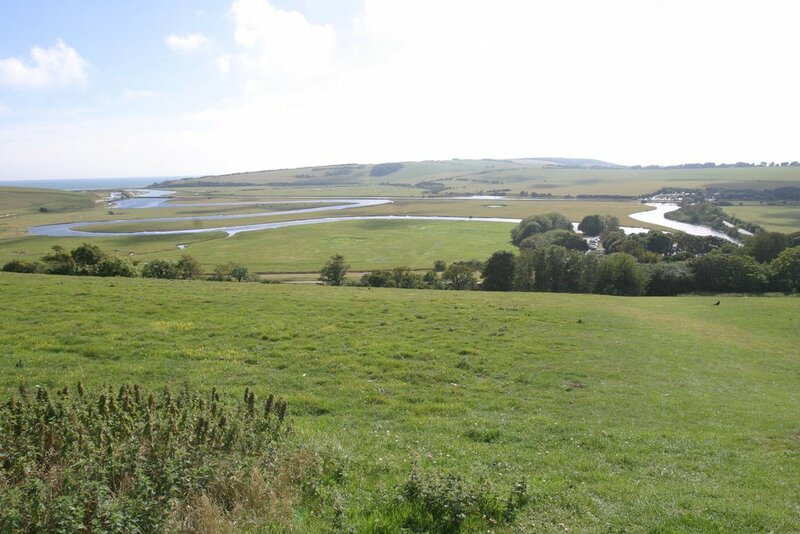 All that’s required is for shingle to be regularly cleared from the river mouth, the River Cuckmere to be dredged from Alfriston to the sea, and for a few repairs to be made to the river bank. It could be done locally and much cheaper than by EA’s sub-contractors. If only it were that simple! The problem is getting the various bodies - the EA, Natural England, East Sussex Council, National Trust, Sussex Wildlife Trust and the South Downs National Park - to agree to anything, let alone such a blindingly obvious solution like that. Next time, off my soapbox and back to the Long House garden. Newer PostSpringtime in the paddock.